A short line of blackclad fantasy lovers wrapped around the block, waiting for the Mission Theater to open its orange cathedral doors. The sun is shining in Portland’s chic Pearl District. The air is warm and dry. In short, a perfectly idyllic late summer/early fall day in Portland. The fall brings with it an air of remembrance, as the leaves begin to paint themselves golden & blood orange. Kids all over the world are starting their first week of school; social media is flooded with pictures of cute little kids in ladybug backpacks and floral jumpers. College kids, meanwhile, are eagerly anticipating Labor Day Weekend, the first proper party weekend of the new year. The air was humming with invisible bee wings. This blend of looking back and looking forward is an apt encapsulation of the crowd outside of the Mission Theater, who were lined up to see the enduring dark fantasy classic The Dark Crystal, and to honor one of its principle midwives, Wendy Froud, in the flesh. The Dark Crystal is one of my earliest memories. Jim Henson & co.’s darkly magical creation terrified and fascinated me, simultaneously. I used to call the Skesis “the sexies”, which my older sister thought was hilarious, and I didn’t know why. The movie has haunted me, throughout my life. Flash forward 13 years, to the release of the band The Crystal Method’s first album, Vegas, which samples The Dark Crystal‘s iconic opening, “Another place, another time…”, which gave me goosebumps when I first heard it. The sample immediately associated the album with the monolithic greyscale landscape, pulsing with indigo and alien life forms, on what would have otherwise been pretty standard dance music. The Crystal Method would go on to become one of electronic music’s biggest live draws, despite their being pretty underwhelming live, at least back in 1997. Such is the power of generational memory. Flash forward another 10 years, and I’m living in New Orleans, working at a Habitat For Humanity ReStore collecting donations for salvage and restore. We were summoned to a derelict cathedral on Dauphine Street, a few blocks from the shop, which had been populated by a troupe of rogue rockabilly fashion designers, working in kitsch. They donated a Smaug-size hoard of velvet leopard print, ’50s hairdresser chairs, mannequins, and jukeboxes. The booty contained an immaculate copy of Lady Cottington’s Pressed Fairy Book. This would be the first time I would become familiar with the name Wendy Froud, along with her husband & creative partner, Brian. I became immediately obsessed with the faeries, with their intricate stickwork wings and grey skin, their mystery. I was attracted to their delicacy, their fluid gracefulness, and air of malicous mischief. These were the faeries of legend, beautiful but deadly, not to be trusted. And yet they were beautiful. Such beauty is usually reserved for the romantic and heroic. Who was this person to lavish such loving detail on such macabre subject matter? Who loved the darkness, with its ability to produce wonder, mystery, and imagination. 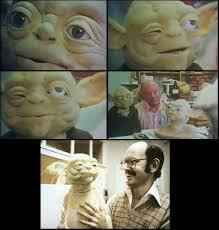 It was not until preparing for the Portland Film Festival did I realize the full extent of the Frouds’ contribution to the wild imagination of Pop Culture, being responsible for many wonderful works of puppetry and practical special effects, most notably for hand-carving and operating the Yoda puppet, as well as Jim Henson’s Labyrinth. The Frouds’ quite literally animated the childhood fascinations of my entire generation, painting the interiors of our minds in crazy, abstract, colorful alien worlds that were not afraid to frighten children, as well as delight. Before The Pressed-Fairy Book, in 1995, there didn’t seem to be much of a scene for Young Adult dark fantasy. There was no Harry Potter, no Twilight franchise. Popular culture remain fully rooted and flourishing in the daylight. Wendy and Brian Froud would help to usher in a new era of dark magick and imagination, where the spooky kids could go to dream. 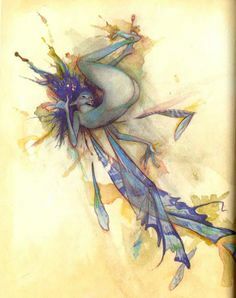 I cannot tell you how many Pressed Faery tattoos I’ve seen. There’s a flourishing culture of handmade, whimsical, magical paraphernalia. We can, if we so choose, construct a fantastic universe around ourselves and never leave. 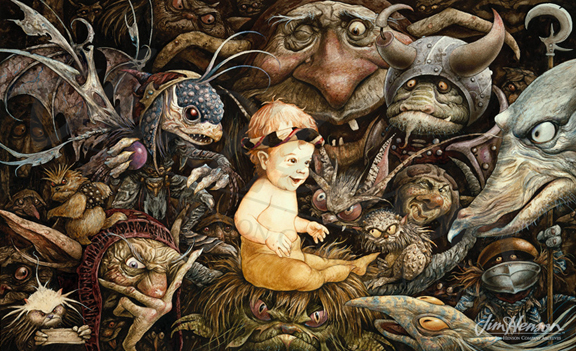 And this is, in large part, thanks to the works of Wendy & Brian Froud. The Dark Crystal, and their work with the Jim Henson company, would be as influential in their own lives as well. 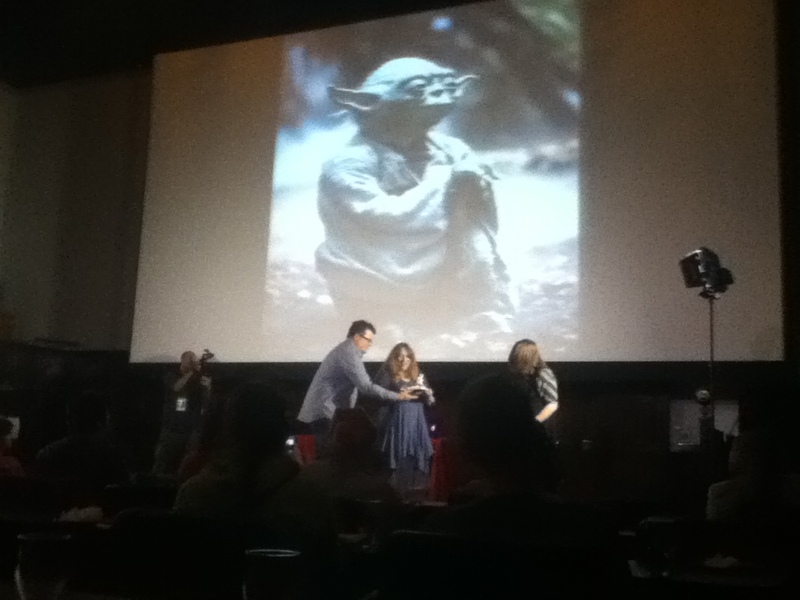 Brian and Wendy Froud met on the set of The Dark Crystal, in London. Brian was “quite, and sketched all the time,” as Wendy told the audience in a Q&A after the screening. The Frouds’ son, Tobey, would go on to become the baby from Labyrinth as well. Tobey’s gone on to become a filmmaker and animator in his own right, keeping the family alive. If such a thing existed, I nominate the Frouds’ as the First Family Of Dark Fantasy! Following the screening of The Dark Crystal, (which was my first time seeing it in the theater. My 2-year-old self was stoked! ), Wendy Froud delivered a vastly informative and entertaining Q&A session with the audience, talking about her early experience working with Jim Henson. About hunkering down for hours, in the set where Raiders Of The Lost Ark had been filmed (and, supposedly, lost some snakes), which had been converted to the swampy terrain of Dagobah. She spoke lovingly of operating Yoda’s eyeballs, whose small head required a woman’s hand. Wendy Froud was also a pioneer in women’s filmmaking. She told the audience Jim Henson co. was always delightfully gender-neutral, but working on The Empire Strikes Back, she was one of three women in the room. It wasn’t awful, she said, just a bit lonely. The Q&A didn’t linger on past accomplishments. Up next for The Frouds? Wendy and Brian have been acting as judges on a series of The Dark Crystal prequel novels. As far as what they’d like to see? Labyrinth, as a stage musical. There are copious amounts of people who would give their eyeteeth to see that production, as the host was quick to point out, so someone start that Kickstarter immediately! It was a pleasure and an honor to see one of my favorite films in the movie theater, five feet away from someone who sculpted my childhood’s imaginings so deeply. I could hear her tittering when Fizgig burst out of the underbrush! It was a real intersection of the past, the present, and the future. Retrospectives, tributes, and curatorial programming will play a huge part in the future, in my opinion. It is always important to acknowledge the new, the timely, the things we’ve never seen before, but it is also important to remember where we come from and how we got here. Plus, there are always gems and treasures to be unearthed and cherished. Who knows what other miracles might be out there, that we haven’t yet seen? As to why this is important? Before the screening, Wendy Froud delivered one humble sentence about why she felt The Dark Crystal is important. We agree, Wendy, we agree. Thank you so much for your lifetime of dedication and hard work! You’ve built worlds within worlds, and lit the fires of children’s imaginations for decades. This entry was posted in Editorials, Festival Coverage, Retrospectives and tagged Brian Froud, Jim Henson, Labyrinth, Retrospectives, The Dark Crystal, The Empire Strikes Back, Wendy Froud. Bookmark the permalink.